I made this card a while ago after taking some inspiration from the layout and colors of a Jaxn Blvd sign (this heart one). 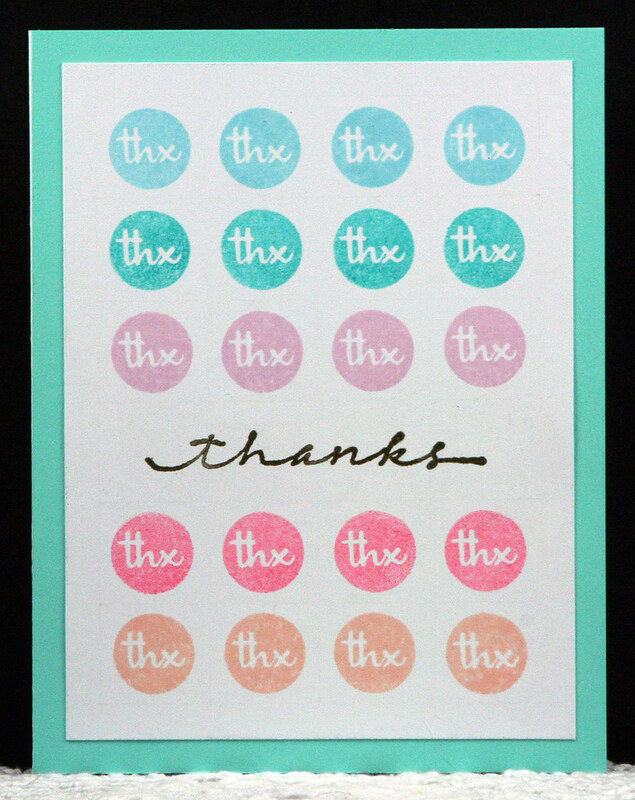 I used a handful of different Distress Ink colors for the circle "Thx" sentiment, and then black ink for the script "thanks" sentiment. 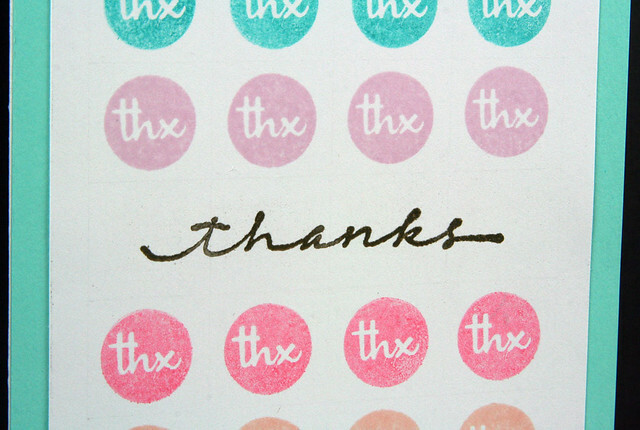 I then mounted the stamped panel on a turquoise mat to finish it off.